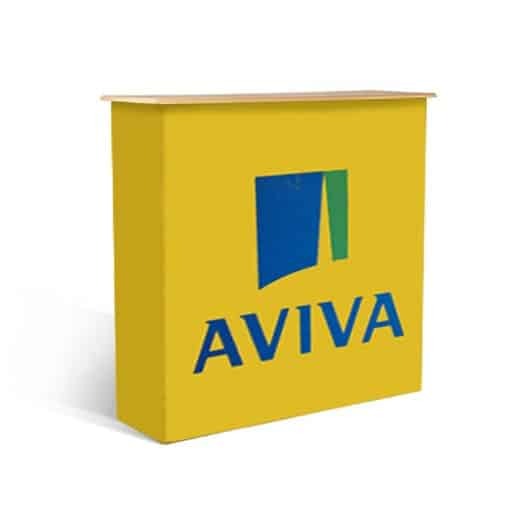 Our printed fabric hop up stands are a lightweight fabric pop up display. Versatile, portable and very quick to set up, they are ideally suited to exhibitions and events with a smaller foot print. Our fabric hop up display bundle comes with graphics, frame and a soft bag in a range of different sizes and styles. The fabric graphic is digitally printed on our premium london frontlit fabric, giving a high quality, vibrant finish. Once fitted to the frame you only need to remove the graphic to wash or replace for future use. Consider the size you require, this product is portable so could be used in many different locations. All sizes are 2.26m high, so you should consider ceiling height as well as floor space. For convenience, the graphic can stay on the frame when collapsed making it portable and quick to assemble. 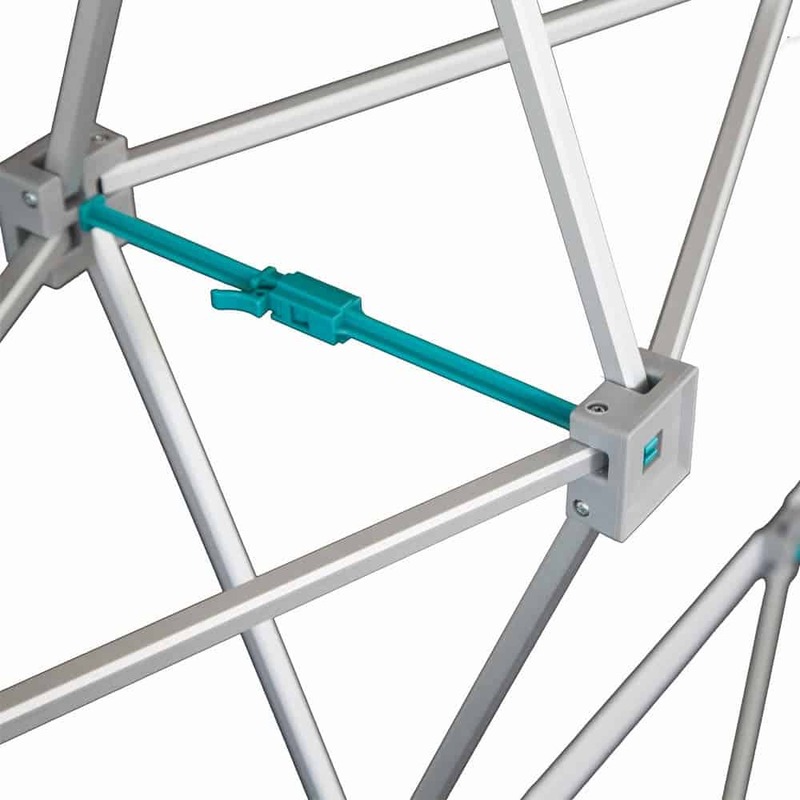 The framework expands and locks into place using locking arms making it quick to assemble and dismantle. 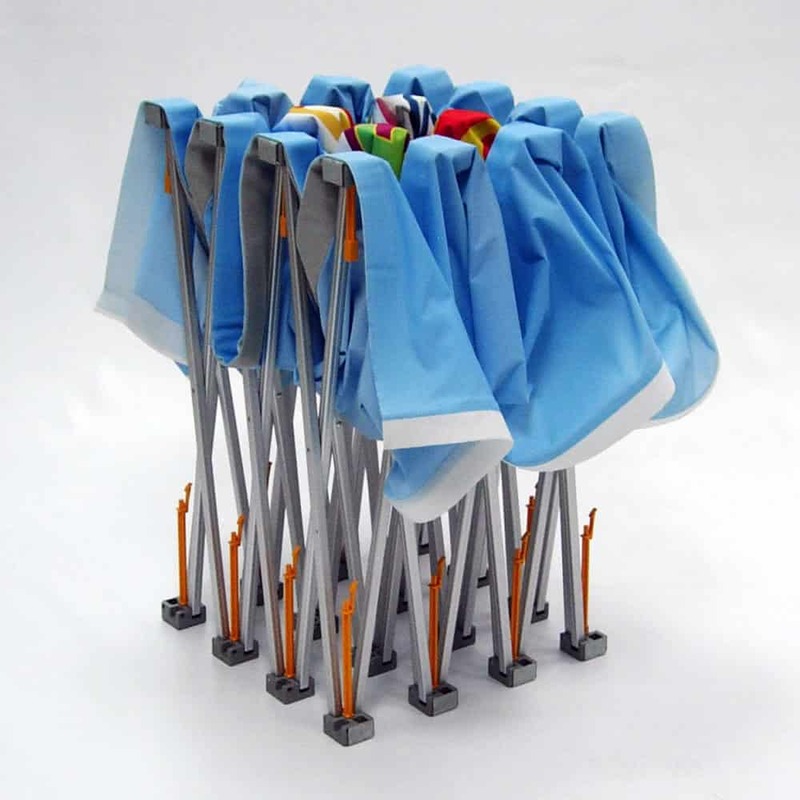 High quality anodised aluminium frame the fabric hop up is lightweight and an extremely portable system. 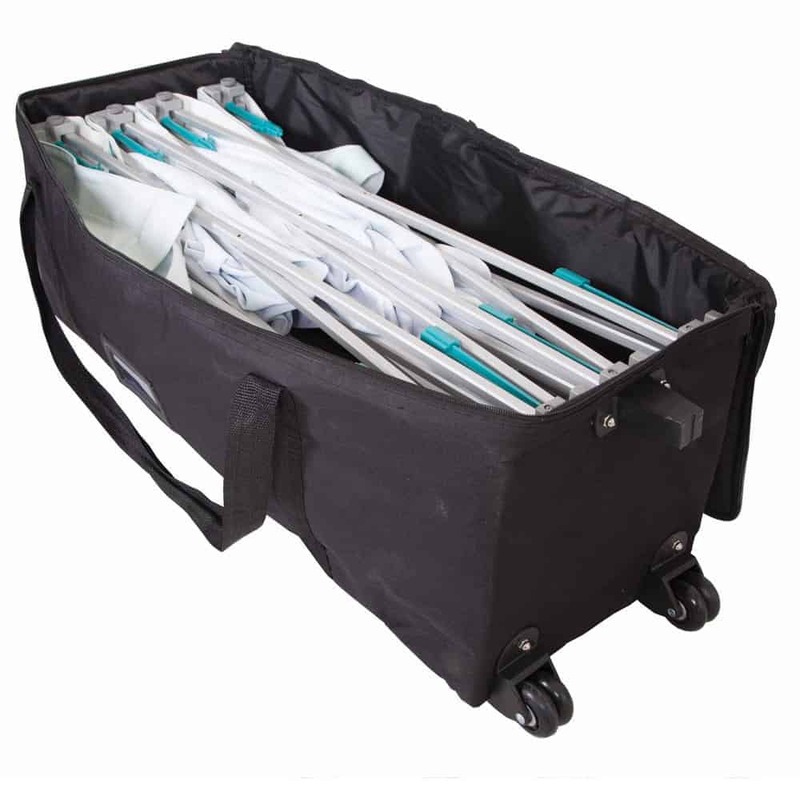 The frame folds up in to a compact size making it easy for transporting, a wheeled trolley bag is included. A convenient lightweight hop up counter that offers a substantial area to welcome your guests, yet packs down for easy transportation in a wheeled trolley case. Other counters are available. Illuminate your display with LED or Halogen options. Lighting can be used in the UK or Europe with the simple change of a lead, which is supplied. 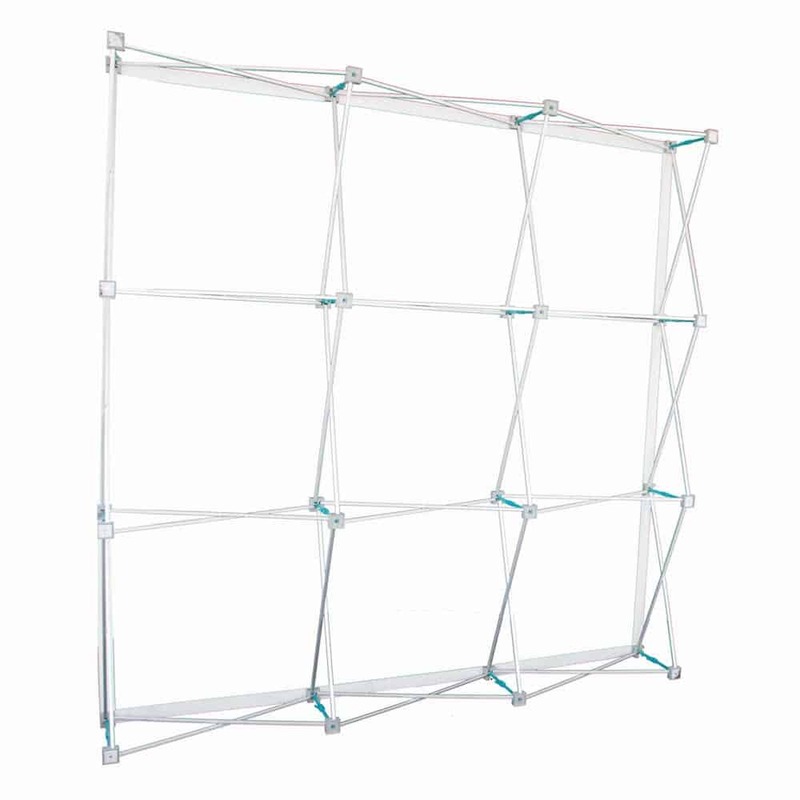 We have an array of options for your display. 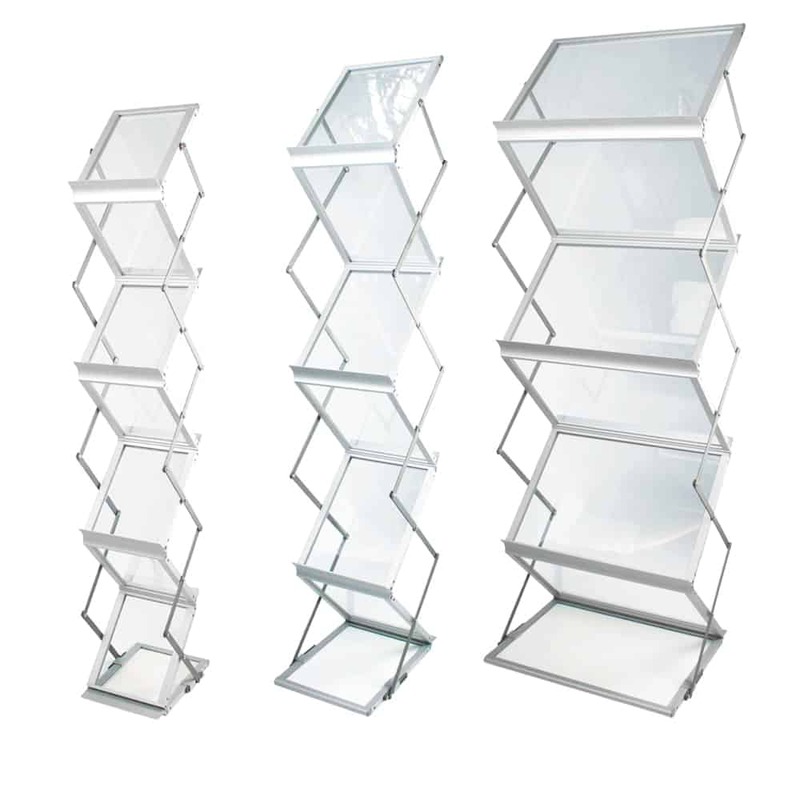 A stylish stand to display all of your marketing material. 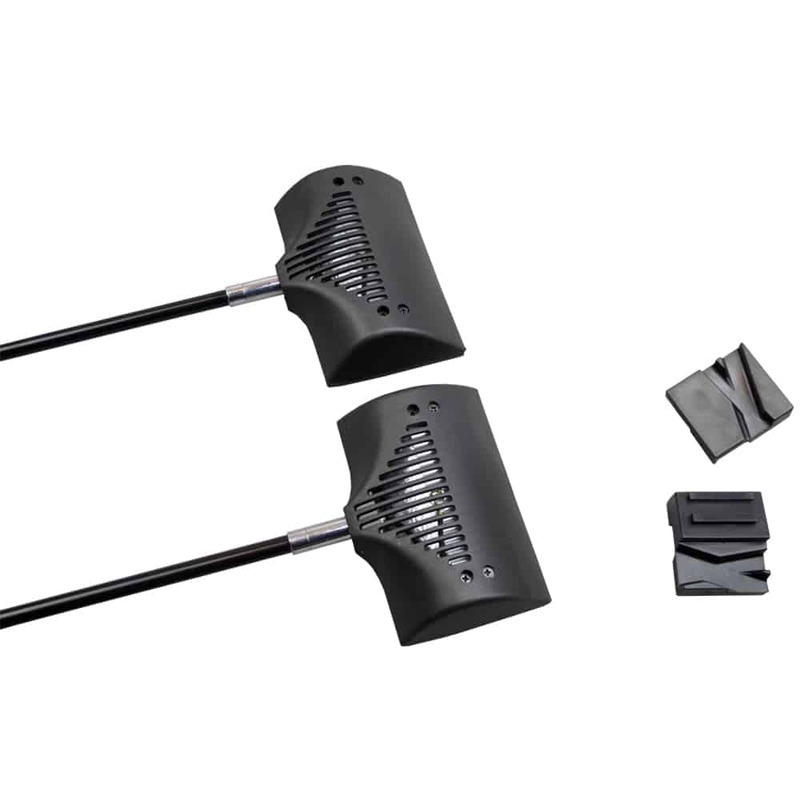 The stand folds down with the literature in place for easy transportation and is double-sided so that material can be selected from any direction. For Double-Sided templates, please use the Single-Sided template and the Double-Sided templates together, this allows you to design the rear only panel separately.